First written in the 6th century in classic Chinese, Tao Te Ching has been translated numerous times into English. 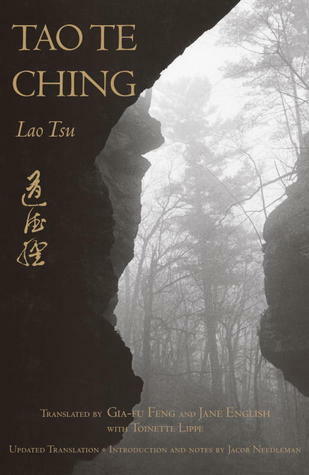 Recently revised and re-translated, Tao Te Ching now reflects the true essence of Lao Tzu’s teachings. Although religion and Taoism are the overarching themes of this book, the advice given can be applied to even the lives of the most extreme atheists. This book outlines the simple actions that can be taken to be free of the negative effects of desire, greed and judgmental thinking. Lao Tzu was a mystic philosopher of ancient China, best known as the author of the Tao Te Ching (often simply referred to as Laozi). His association with the Tao Te Ching has led him to be traditionally considered the founder of Taoism (pronounced as "Daoism"). He is also revered as a deity in most religious forms of the Taoist religion, which often refers to Laozi as Taishang Laojun, or "One of the Three Pure Ones". Laozi translated literally from Chinese means "old master" or "old one", and is generally considered honorific. Let go of the belief that your beliefs are permanent. Stay calm when faced with a problem.